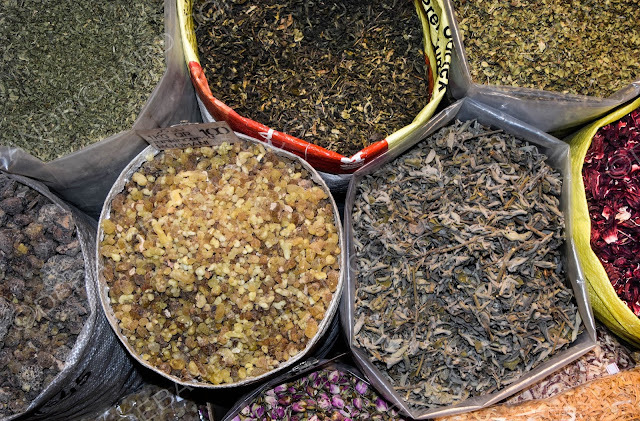 Souq Waqif translates to "standing market" and has been a staple in Doha life for more than a hundred years. 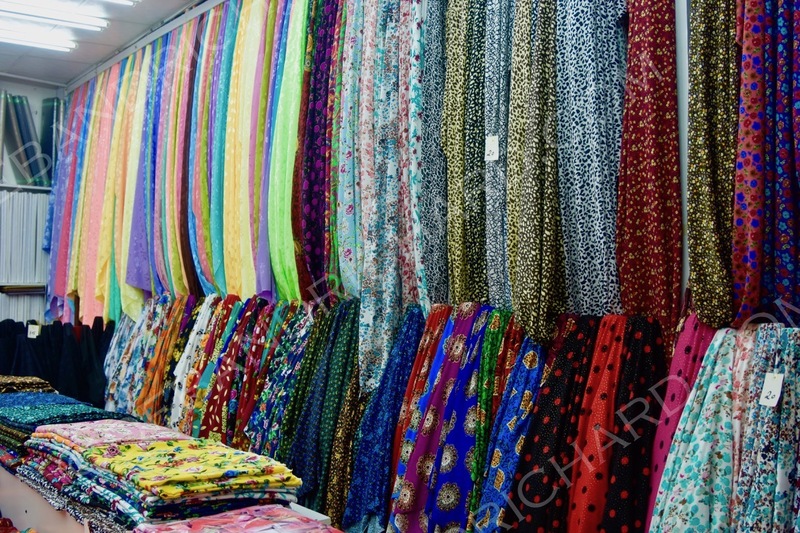 The market was renovated in 2006 (I think due to a fire), and while the traditional architecture was maintained the alleyways are a bit bigger allowing merchants to be able to do more than just stand due to smallness of the area (hence the name standing market). 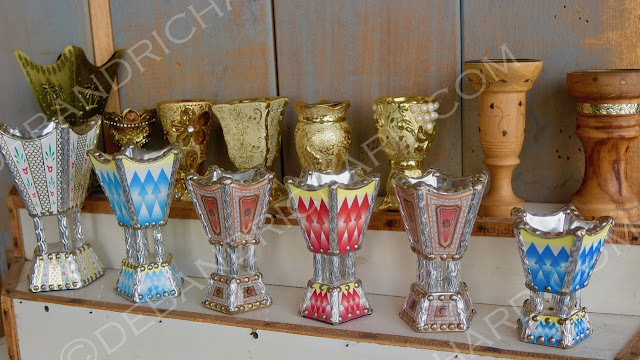 Richard and I have been a couple times. We went one evening for the annual Date Festival...no this isn't a festival of people out on dates, but a festival surrounding the annual harvest of dates. 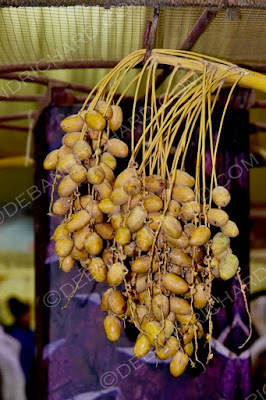 They were selling freshly harvested dates (yellow and red ones). Though, we made the evening a bit of a date night since the kids did not want to come. 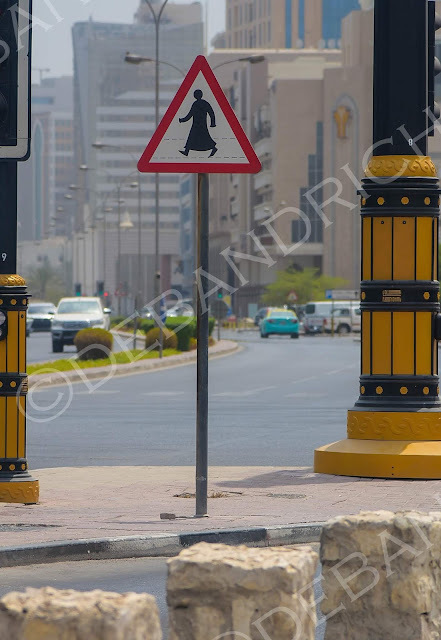 There were signs in Arabic with information about the yellow and red dates, given we could not read Arabic we just enjoyed the photos. 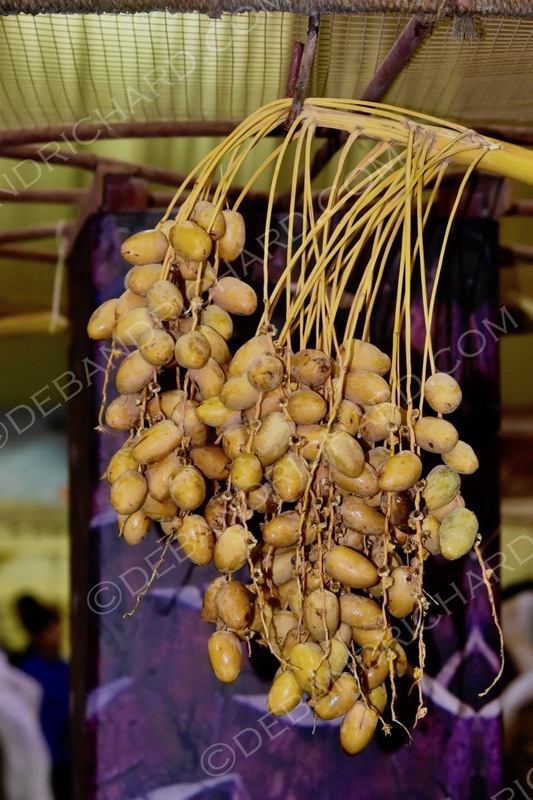 Some research on the googles, tells us that yellow dates tend to be sweeter and red dates have little to no sugar (apparently making them good for diabetics). Though both pack a powerful vitamin punch! 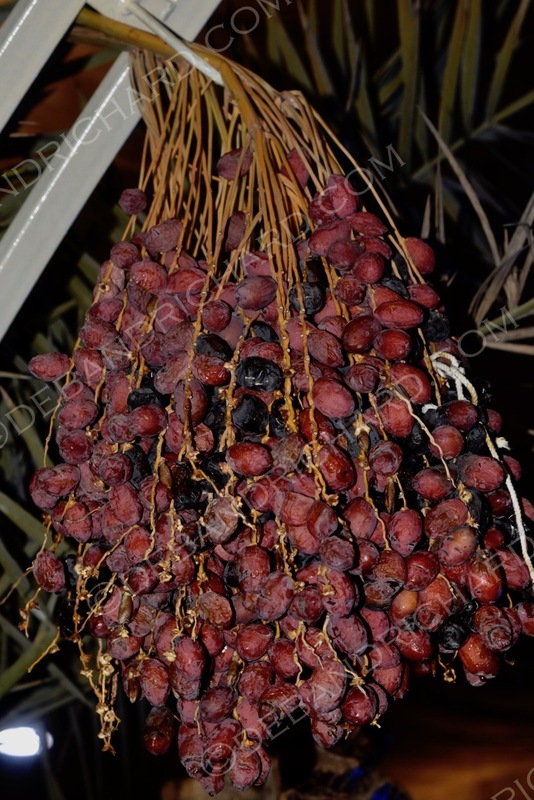 The dates were sold in boxes of dates and given we enjoy the occasional date we feared they would go bad (get too dry) if we bought them in such a huge quantity. 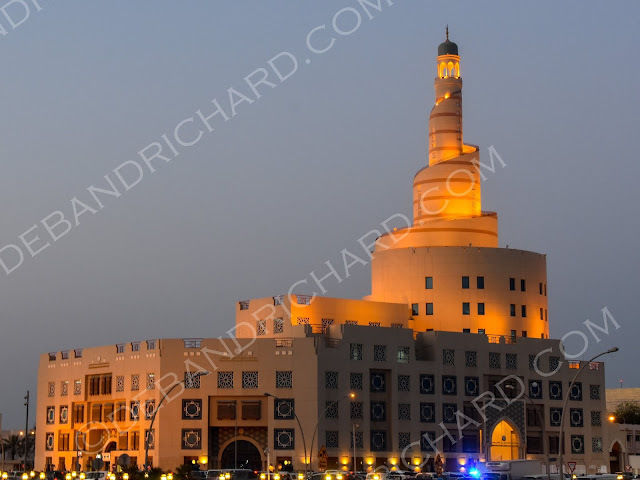 Across the street from the Souq, is the a place nicknamed the Spiral Mosque (technically called Sheikh Abdulla BinZaid Al Mahmoud Islamic Cultural Center but sometimes referred to as the Al Fanar Islamic Culture Center). It is a lovely landmark mosque in Doha and it offers non-muslims educational tours/courses on the Islamic faith. We have not been yet, but plan to go. 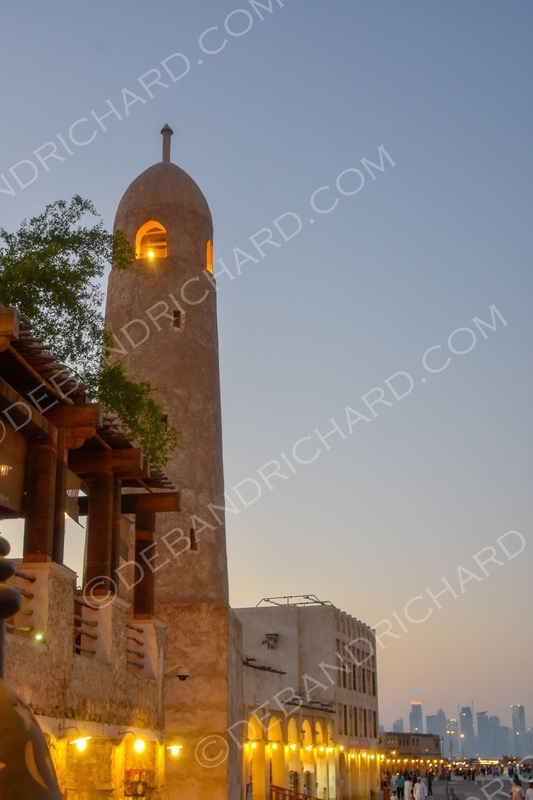 The lighting that evening was also wonderful for capturing this dome shaped minaret that is part of the souq. Minarets are towers/beacons that send out calls to pray five times a day. (You can also see the downtown skyline beginning to light up in the background). 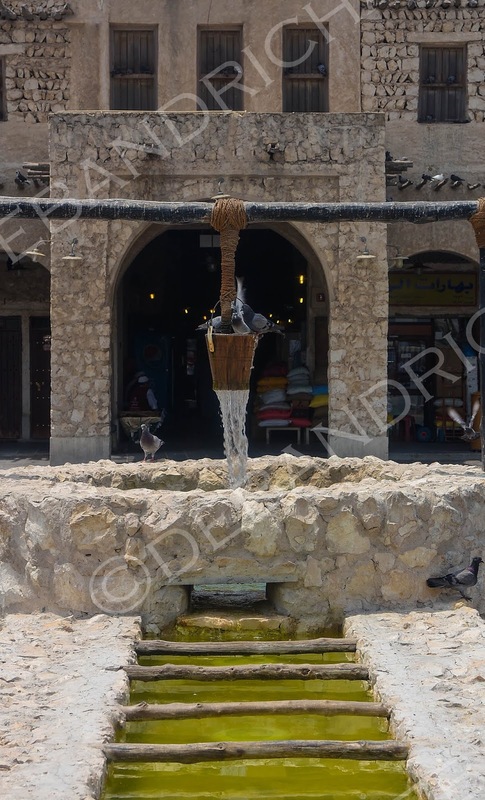 In our wandering around the souq, we happened upon an artists centre. It is where not only artists can work and you watch, but they also sell their artwork. All the way through this studio per say were beautiful glass lanterns. 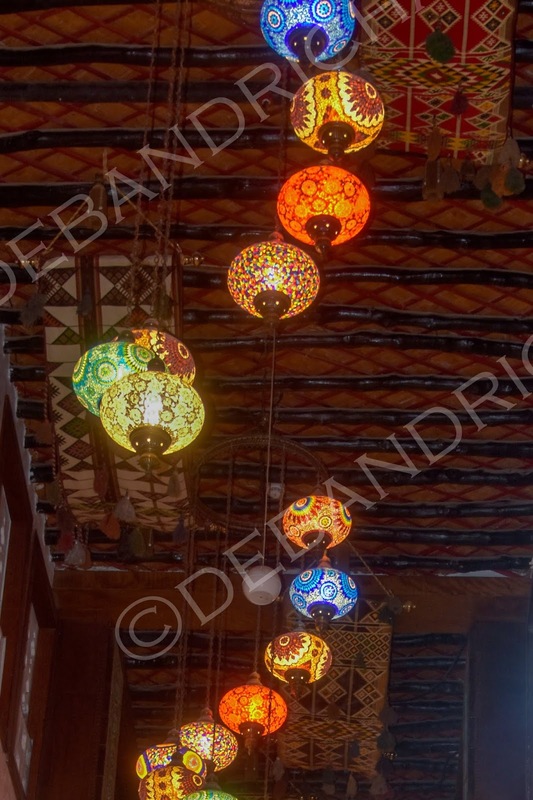 The picture just doesn't do them justice (and there is a good chance we will end up with our own glass lantern chandelier before we leave!). A few weekends later, we heard about a company offering tours (Coming Up in Doha) of the above Spiral Mosque as well as the Souq. I signed up for the Souq Photowalk and Richard signed up for the Falcon Event. 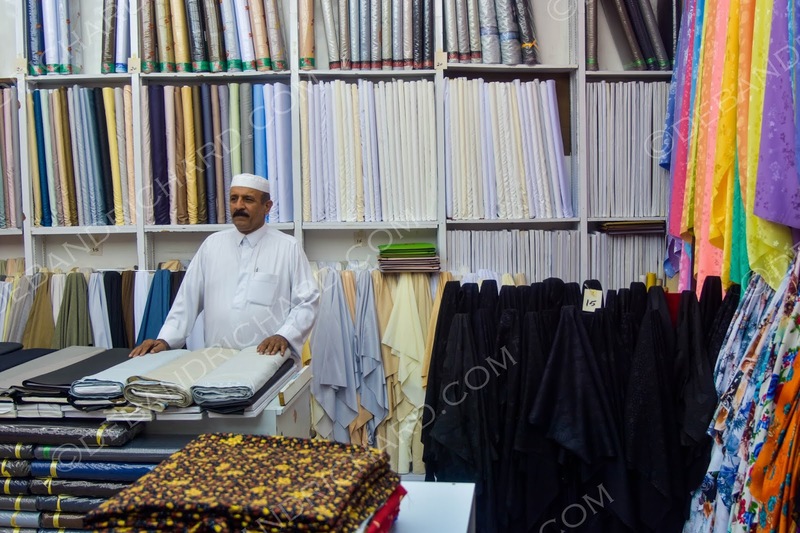 The Photowalk goes over some of the basic elements of design as well as take you to spots within the Souq to practice them out! Why do I need elements of design class you ask? Didn't you take photography in college? Well I did and it's been a "couple" years. So I thought it would be a good refresher. Refresher, for what? 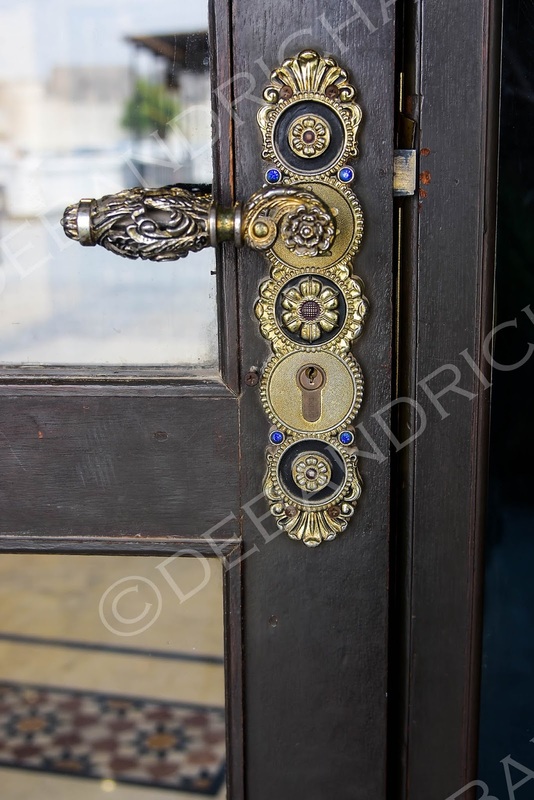 Well I've decided start selling some of our better shots to the different stock photography companies. 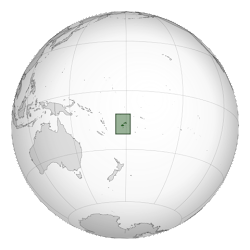 Fiji provided me with so many beautiful sunsets and scenery, as did the Caucasus mountains from our time in Georgia (and all these regional travel opportunities we have embarked on). It seems so silly for those photos to just sit on our hard drive and gather metaphorical dust. 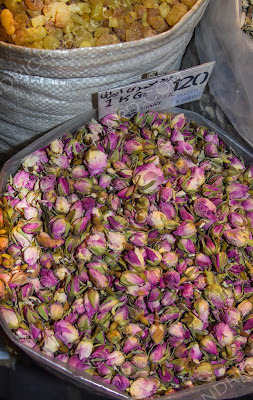 So instead of just this blog, I am sharing the photos with the world....as of this writing, I have already had 3 images sell....for a whopping $0.25 each....so I have made $0.75 more than if I had left them on the hard drive! The only hiccup we encountered is Richard takes some good shots too. So we have set up a business partnership, where I'll do the majority of the work (editing, uploading, managing the business/taxes portion) while Richard will contribute the occasional great shot! Given most companies have a minimum amount you must sell before payout, if I set us up to each have our own upload accounts it might take forever for payouts, but by combining into a business it streamlines everything. All this also provides me a job/career that I can take from post to post as we move. 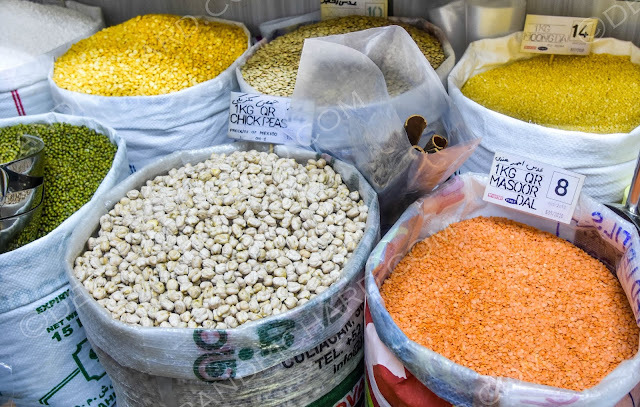 In addition to the stock photo sites, we I have set up our own personal website (ie if you have ever seen a picture and thought, I would love to have that on my wall, you can order a print for yourself directly from the website). 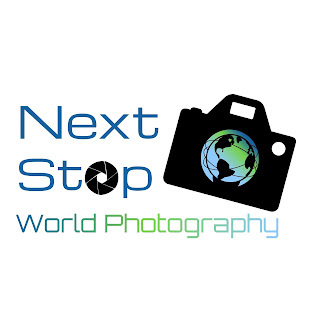 You should check it out.....click our new partnership logo to get there! You see what I did there....Next Stop, sounds like f-stop (a photography term) but also plays on our blog title. It takes time to go through old files to find the hidden photo gems, but I'm slowly starting to add countries we've visited and photos we have taken....anyway, back to the topic of this post. 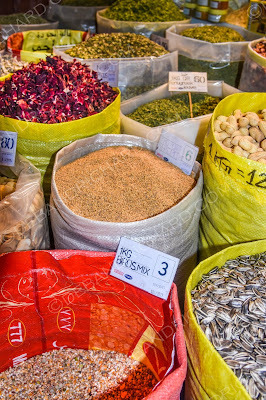 The Souq Photowalk was a great opportunity to get some Doha material, freshen up skills (as well as sneak in a little tour of the Souq). 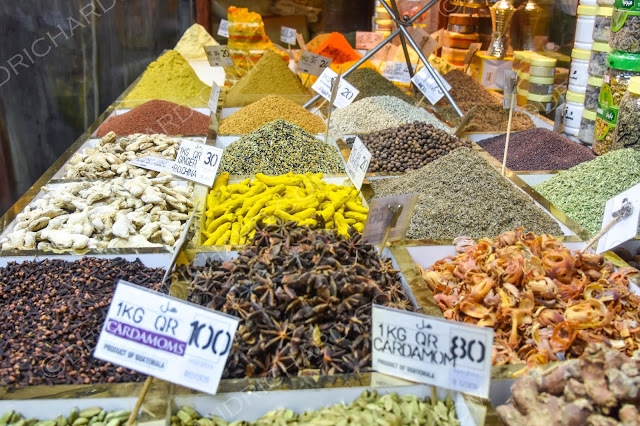 We obviously went to the spice market section of the souq (hmm, scratch and sniff photos....wonder if those are doable). A ton of colors and textures to photograph! This reminded me, we really needed some cinnamon so I got a small bag after taking this shot! 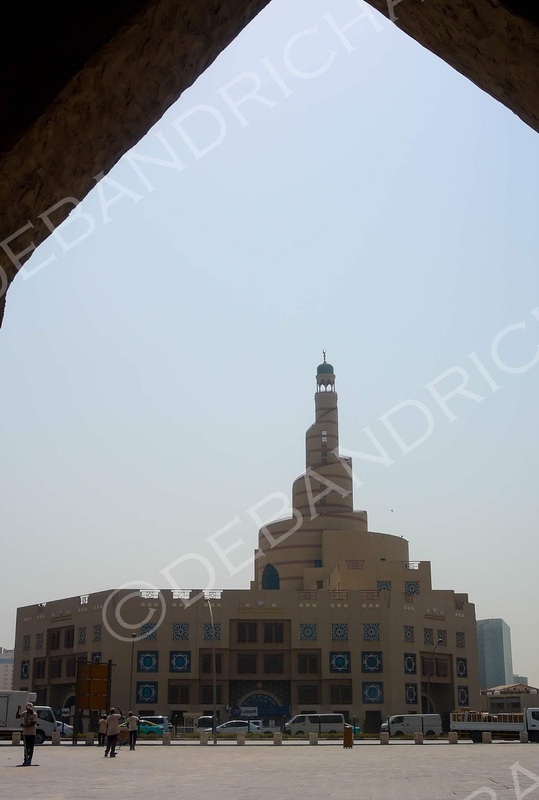 This one alleyway, had another great angle of the Spiral Mosque. The local Qatari even stopped and smiled for the group of 10-15 of us taking photos. I missed the shot of him smiling, but here he is chatting with his hamalis for the morning. The hamalis wear red vests and can be hired to follow behind you with a wheelbarrow helping with your load. 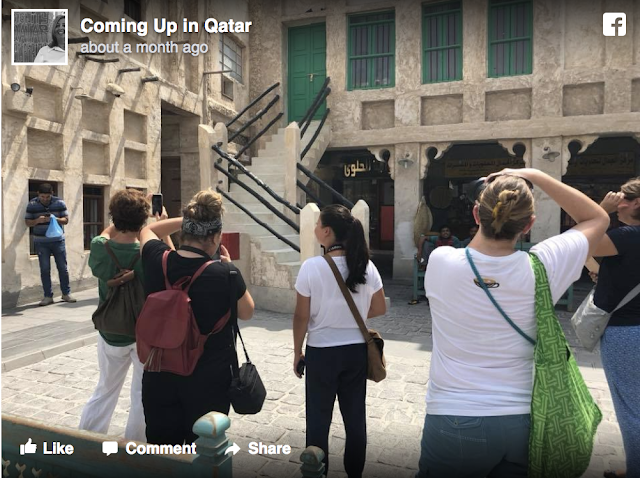 After this, we stopped in some air conditioning (our tour was at 9am and it was a scorcher that morning) and for a chat with a Qatari in a majlis (place of sitting). This was actually the first Qatari I had officially met. 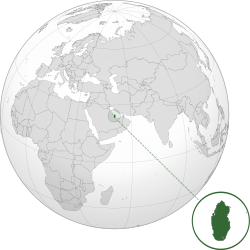 According to World Population Review, there are approximately 2.7 million people living in Qatar, but less than 15% of those are Qatari (aka a lot of foreigners here!). The kind man spoke of his job in Qatar and then fielded questions from the group. We had some fruit salad, tea, and other delights to nibble on. Afterwards, we headed back outside. It was here that I made the company's facebook page! I found this neat building with Arabic carved into the side. I'm curious as to what is says, but still think it was a neat design. I have picked up (and Clarissa "taught" me) that when reading/writing Arabic you go from right to left. Right after taking this, a woman asked if her son could have his picture taken with me. It struck me as odd, given there are so many expats....maybe I was just that much sweatier (or my lovely neck scar peaked his interest...he was probably about 10 or 11). I obliged and she took the photo on her phone, so sadly I do not have a copy. 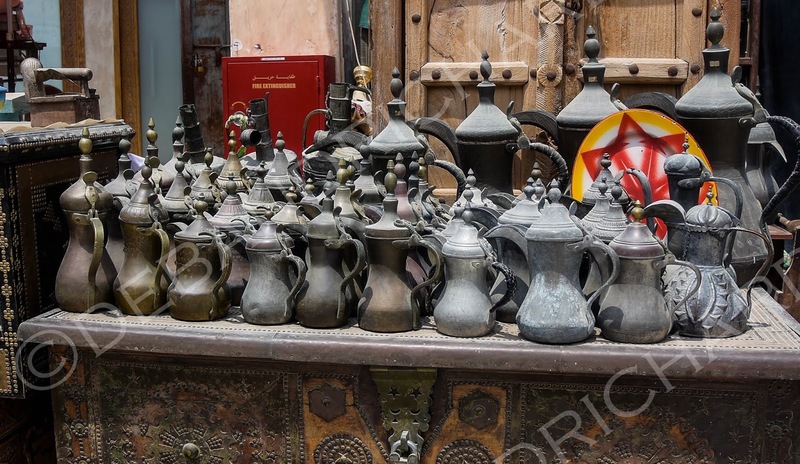 There are also lots of other neat metal craft colors/textures to be found at the souq. As well as, old Arabic Coffee pots. After the tour ended, a lovely cooling breeze picked up. 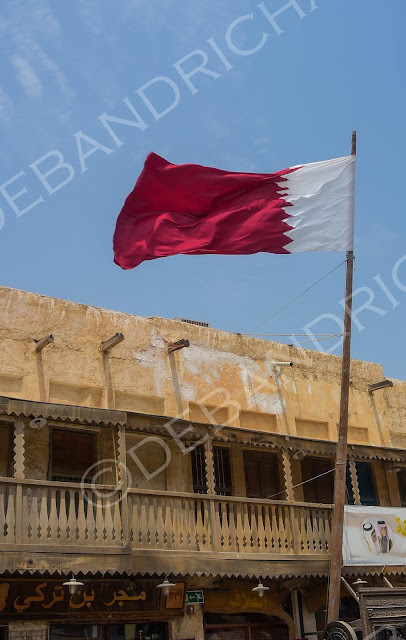 It felt wonderful and afford me this great shot of the Qatar flag. I then crossed the street (well actually it took several street crossings) to get over to the Pearl Monument. The Pearl Monument sits right on the harbor. 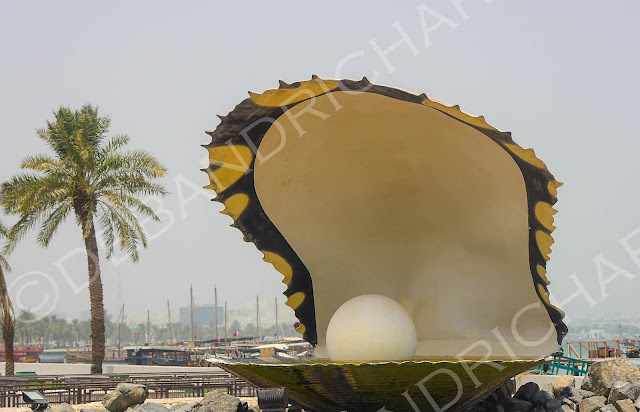 It is a giant oyster with a pearl inside. 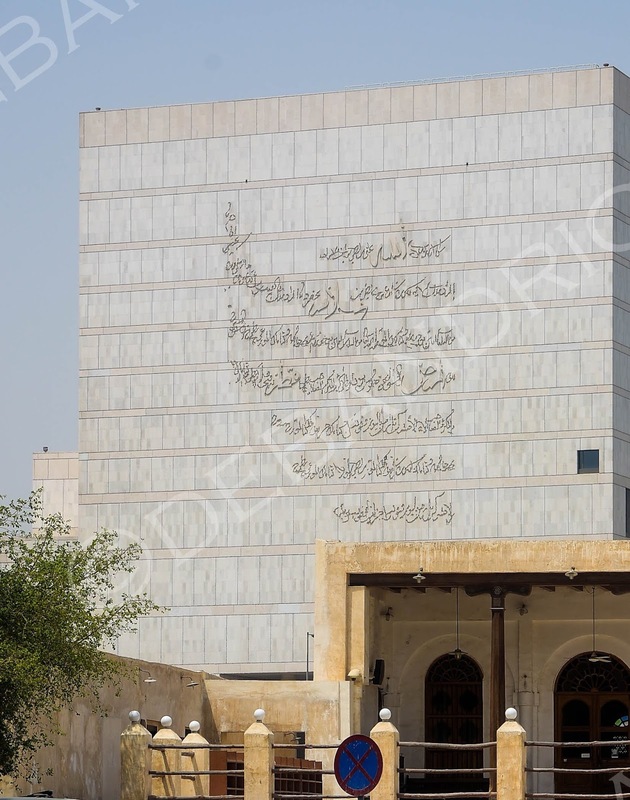 The monument is reminiscent of the country's history as a major pearl trader. There was no water in the fountain that morning...though I bet it much prettier when there is. 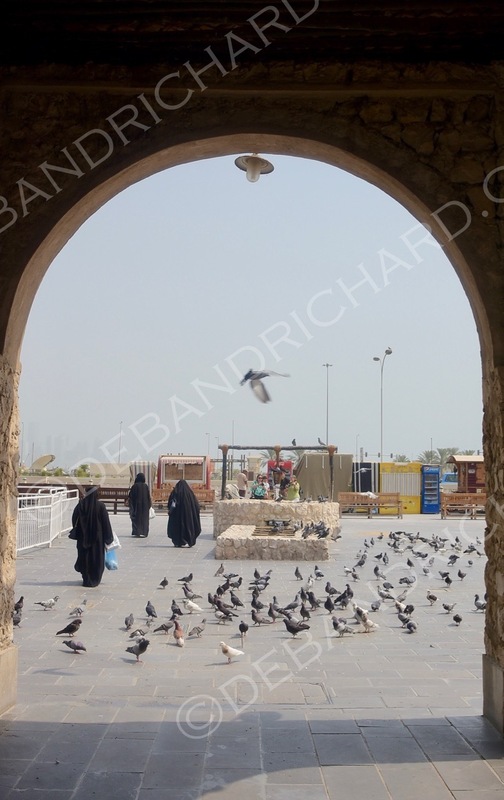 The Pearl Monument sits at the Dhow dock. A Dhow boat is an Arabic boat that was traditionally used for fishing or commercial transport. Dhow's have one or two sails, so today these boats have been replaced with much more efficient engine powered boats, but are still used for leisure/tourism activities. 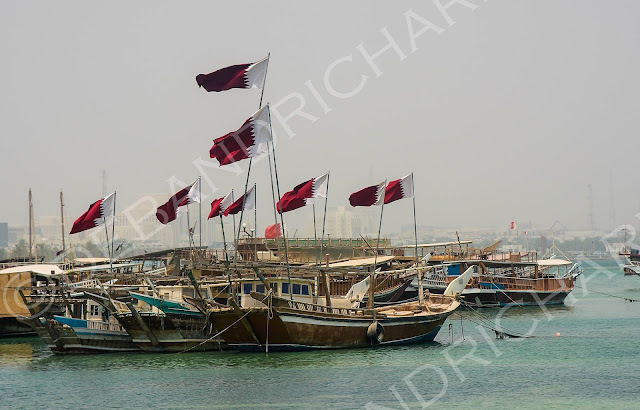 Taking a harbour cruise on a Dhow is definitely on our Doha bucket list. Here is a large group of Dhows, proudly flying the Qatari flag, moored in the harbour. 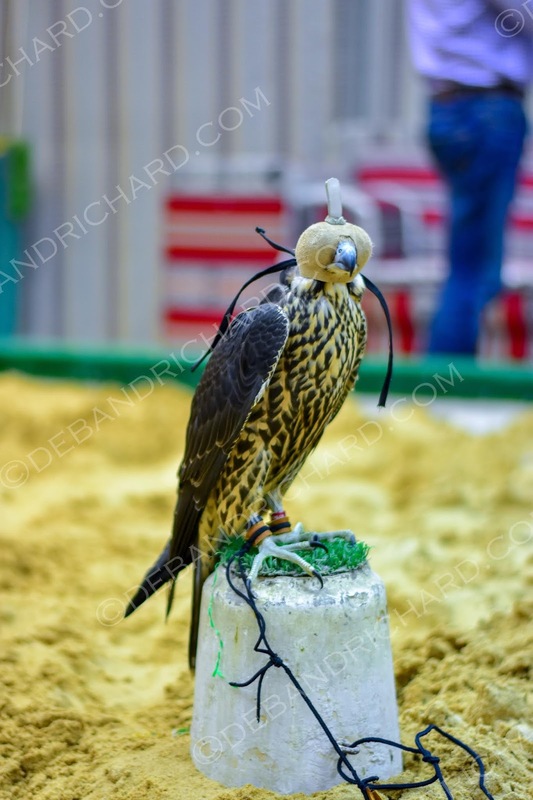 That evening, Richard went to the Falcon Event. He learned all about falconry in Doha (ie we can't afford to even buy a falcon...not that we would, we really like Isa and don't think they would be a good match). He told us all kinds of interesting information and the rest of us will likely go to a later event. We know that you can not cabin carry cats/dogs on Qatar Airways flights...but you can cabin carry falcons! We have not seen one yet, but that should be interesting if we ever do (Richard learned the falcon will get it's own seat)! 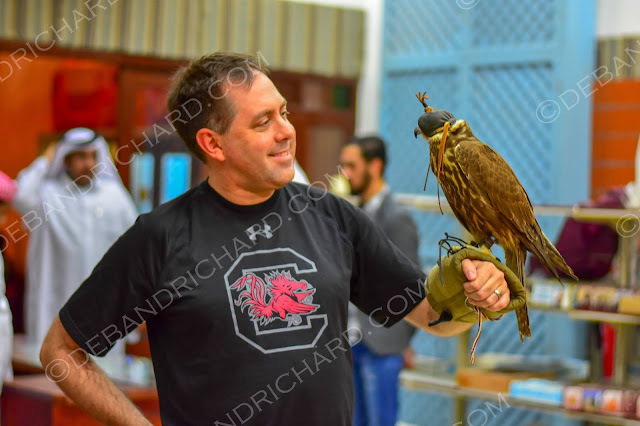 Richard even got to hold a falcon! 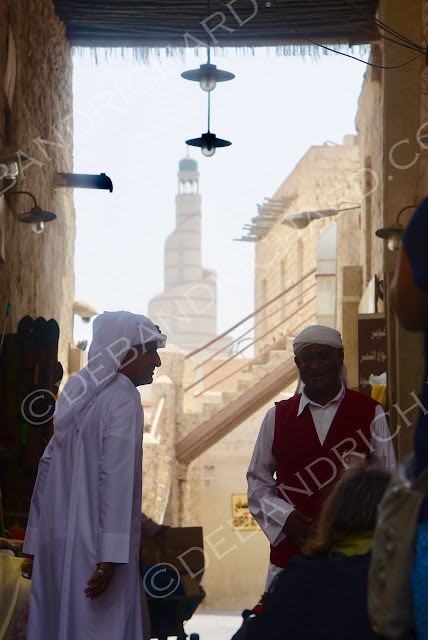 We will probably post many more images from Souq Waqif as there are so many alleyways and hidden gems all around. I foresee many more trips there during our time here.